Optane Memory will make this PC's SATA drive seem much faster. Correction: The original mistakenly indicated that Intel Optane Memory works with AMD Ryzen CPUs. PCWorld regrets the error. 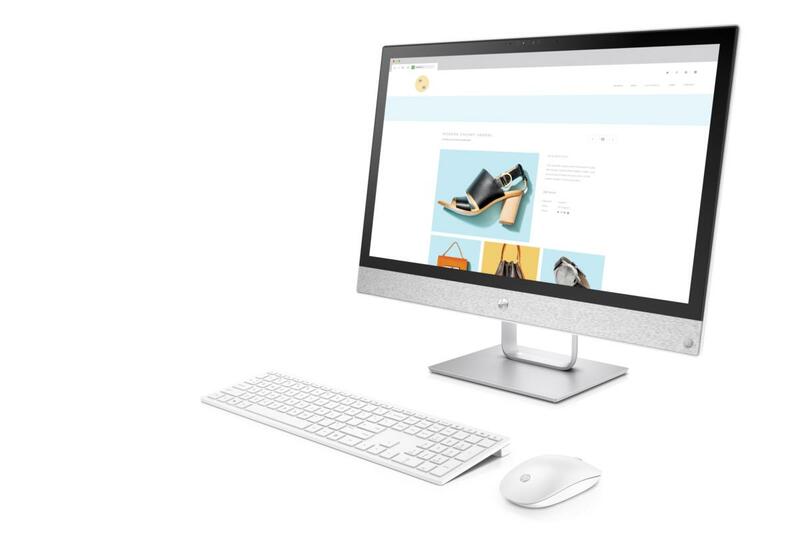 The HP Pavilion All-in-One 27 comes with 16GB of Intel Optane Memory, making it one of the first PCs to ship with the impressively fast caching storage. Announced Tuesday morning, HP did not provide full pricing, unfortunately, but based on our tests, Optane Memory will make this PC worth every penny. PC enthusiasts were hoping Optane Memory would come to them first—you can buy it retail for about $44 for the 16GB module and $77 for the 32GB module. The Pavilion All-in-One 27 is just the kind of system for which Intel Optane Memory can make the most difference, though. Even though this unit has just a run-of-the-mill 1TB, 7,200rpm SATA drive, it will feel almost as fast as an SSD when paired with Optane Memory's caching talents. Optane Memory's caching can make SATA drives feel like SSDs. That kind of speed just might make this family-oriented PC something the kids will fight over, especially if they want to use its expansive display to stream a movie. The other specs on the Pavilion All-in-One 27 show the vendor's careful balance of price and features for this low-cost model. CPU: 7th-generation (Kaby Lake) Intel Core i7-7700T: This CPU tamps down its clock speeds to keep the PC running smoothly and not too hot. Note that Intel Optane Memory can be used only with 7th-generation Intel Kaby Lake CPUs. RAM: 12GB of DDR4-2400 SDRAM. This is high-bandwidth RAM. It'd be nice to see 16GB or more here, but Optane Memory may compensate for this lack. Display: 27-inch (diagonal) 10-point touch 1920x1080 IPS display. This size gives you plenty of screen real estate for mainstream uses. The IPS technology means the viewing angles are great: 178 degrees..
HP Privacy HD camera: This is a retractable webcam that tucks neatly into the top bezel of the Pavilion's display. 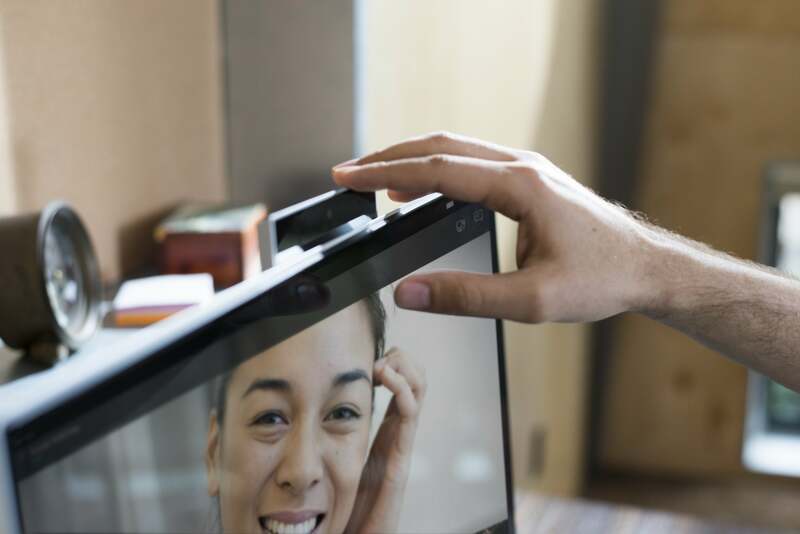 Should someone try to hijack your webcam to spy on you—or more likely, should you forget to turn off the camera after a videoconference—you won't be watched unawares. The Pavilion All-in-One 27 also has a band of fabric covering the speakers below the display area. It looks like the same fabric used to dress the flowerpot-shaped HP Pavilion Wave, and it adds a touch of warmth to what's otherwise a huge chunk of metal. The rest of the story: The All-in-One market can be painfully mainstream (read: ho-hum performance), but Intel Optane Memory suddenly makes things interesting. The Pavilion All-in-One 27 is just one of three AiOs HP introduced Tuesday morning. The other two, both with 24-inch displays, do not offer Optane Memory, but they have an attractive starting price of $750. We'll update this story once HP posts prices and full specs online.